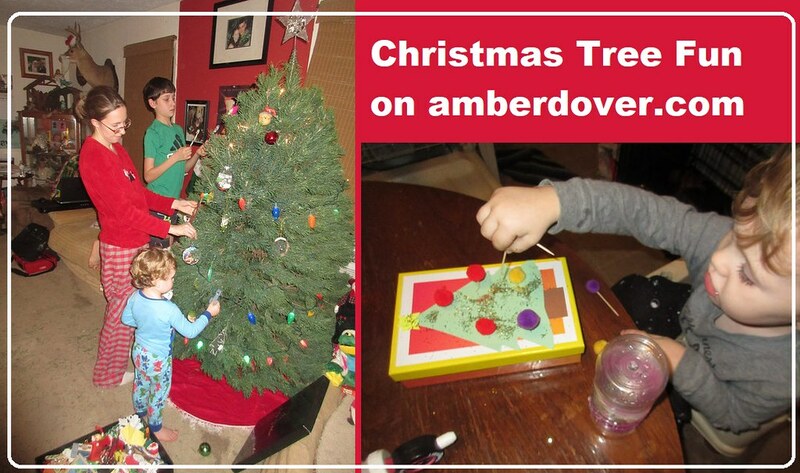 In this post: Christmas tree crafts and activities! Our Jesse Tree is a fun way to learn about Jesus’ family and the gospel story. Leeland participated this year. Leeland painted green and added glitter. They look nice in our basket. We read The Littlest Christmas Tree and also The Legend of the Christmas Tree which I talked about here. Finding our Tree- We found a real tree this year. We had to buy a pine because I’m allergic to firs. Michael being silly at the tree farm!